By John Henry Clarke, M. D.
Hahnemann’s Doctrine of the Chronic Miasms. By “miasm” Hahnemann means an infectious principle, which, when taken into the organism, may set up a specific disease. 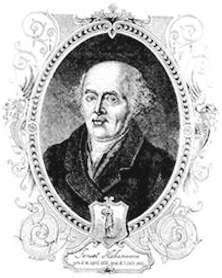 According to Hahnemann, there were not only miasms of acute disease, like the infectious principle of scarlatina, for example, but also of chronic diseases. Among the latter he recognised three-syphilis, sycosis and psora. The first is the lues venerea, which is recognised by all schools alike. The second is allied to this, but is distinguished by the production of characteristic warty growths. The third is a discovery of Hahnemann’s, about which there has been the greatest misconception. Before giving an account of what Hahnemann meant by “psora,” I will give a familiar instance of a chronic miasm – the disease set up by vaccination. Vaccinia or “Cow-pox,” as the late Dr. Matthews Duncan pointed out, is extremely analogous to syphilis in many of its characters, and not the least in the appearance of secondary disorders after the primary illness is over. The course of the disease is well known. The virus having been introduced through an abrasion of the skin, in about a week inflammation occurs at the spot. Then there appears first a vesicle, then a pustule, then a scab, and finally a scar when the scab drops off. During the time that this series of events is occurring, constitutional symptoms manifest themselves, chiefly in the form of fever and undefined malaise. When the healing has taken place, three may be nothing more occur. The organism may have reacted perfectly and discharged the miasm. But this is not often the case. The diminished susceptibility to small-pox infection shows a change of a deep constitutional character. This constitutional change has been named “vaccinosis” by Burnett, and, as I can attest, is the parent of much chronic illness. Often skin eruptions occur, lasting for years, or various other kinds of ill-health, lasting, it may be, as long as life lasts, and not seldom shortening life. When such a series of disorders occurs, it is not (according to Hahnemann’s doctrine, though he did not use this illustration) a succession of new diseases, but different evolutions of one and the same disease, the “miasm” of Vaccinia producing the chronic malady, vaccinosis. In the early years of his homeopathic practice Hahnemann noticed that in certain cases the remedies he gave only produced temporary benefit. In these cases he found that the homśopathically of the remedies given was not complete. There was some factor in the case which had not been matched. It became apparent to him, then, that he had not only to take account of the malady from also of previous and apparently different maladies. And he found the remedies which corresponded, in their action, to the whole course of the pathological life of a patient were needed for a cure ; and through his provings he discovered what these deeply acting remedies were. Many cases he met with in practice in which the ill-health dated from the suppression of a skin disease, probably years before. 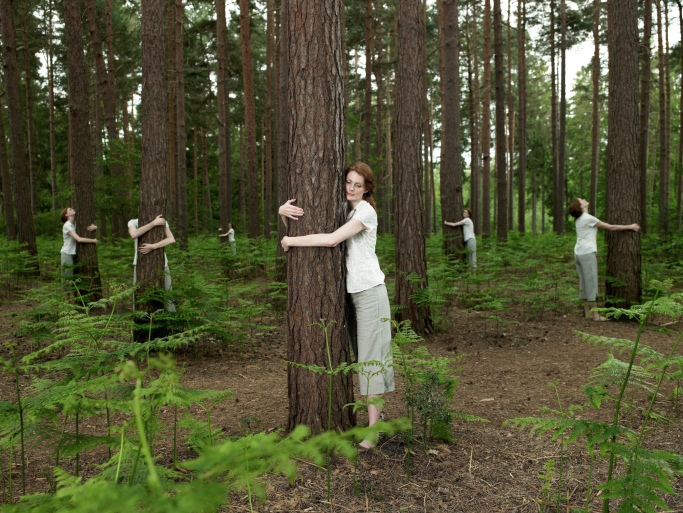 That skin disease, said Hahnemann, is really a part of the present disorder. To take a common example, asthma is often found to appear after the “cure” by external means of a skin disorder. The patient is not suffering from two diseases : there is, according to Hahnemann’s pathology, one chronic miasm at work producing the two effects. The large majority of chronic diseases Hahnemann traced to the chronic miasm he termed “psora,” and he maintained on the skin of the miasm was an eruption of itching vesicles, of which the itch vesicle was a type. It has of which the itch vesicle was a type. It has been started that Hahnemann ascribed to the itch the production of nine-tenths of chronic diseases, and he has been accused of ignorance in not knowing that itch was caused by an insect. But Hahnemann not only knew of the itch-insect, he actually figured it in one of his works. But he maintained that, in spite of the presence of the insect, this was not the whole of the disease – just as the tubercle bacillus is not the whole of pulmonary consumption. If it were, no doctors would escape consumption, since they inhale the bacillus constantly from their patients. “The itch,” Hahnemann maintained, “is chiefly an internal disease’. ‘Psora is an internal disease – a sort of internal itch – an may exist with or without an eruption upon the skin.’ ‘Psora forms the basis of the itch.’ To the reckless suppression of the chief external symptoms of psora Hahnemann ascribed the prevalence of chronic disorders. To put it in other words, the psora doctrine of Hahnemann is practically the same as the doctrine of certain French authorities who ascribe a great variety of chronic diseases to what they call a ‘herpetic diathesis’, that is to say, a morbid state of the organism liable to manifest itself on the skin by an itching vesicular eruption. The essential truth of Hahnemann’s doctrine may be seen by taking a glance at the history of individuals and families. The skin eruptions of childhood, the late development of bones and teeth, the anaemia of puberty, and the consumption which finally carries off the patient, are not so many different diseases, but different manifestations of one and the same disease, whether we call it ‘psora’ with Hahnemann, or ‘herpetic diathesis’ with the French. Then, again, take a family : one member has enlarged and inflamed glands, one ulceration of the eyes, one a chronic cough, one hysteria, one eczema. They are all children of the same parents, with the same elements of heredity, and their diseases are essentially one and the same, only manifesting itself differently in different individuals. This disease Hahnemann called a ‘chronic miasm’. The seat of its operations is the vital force, which can only be freed from it by dynamically acting homśopathic remedies. 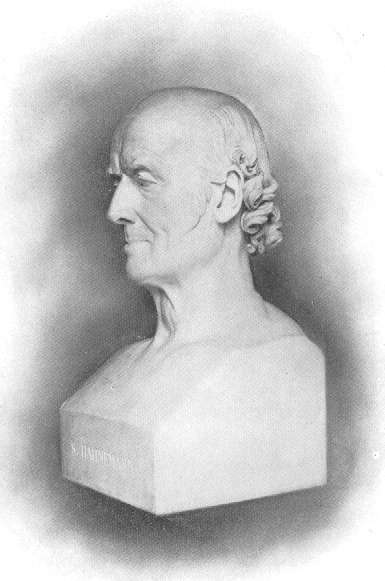 In his study of the chronic miasms Hahnemann found many other very characteristic symptoms besides the occurrence of eruptions on the skin; and he found remedies having corresponding symptoms, which he gave to patients with signal success. Among those remedies which he found to produce symptoms likest to those occurring in psoric patients, Sulphur takes the foremost place. Hahnemann’s great works on Chronic Diseases gives the symptoms of these remedies at length. This work, of which the full title is “The Chronic Diseases : their Specific Nature and Homśopathic Treatment,” is the crowning work of Hahnemann’s career. It will be seen from the above sketch that Hahnemann’s theory of disease is profoundly philosophical and intensity practical. It is as far as possible removed from tentative and fragmentary theories of disease current in his own and in our day. Hahnemann’s pathology goes hand in hand with treatment, and is thus checked at every step by the test of practice. The strength of a chain is equal to that of its weakest link, and similarly the value of a person’s life may be equal to that of his weakest vital organ here the particular organ is equal in importance to that of the entire organism. Even where the tissue state of the entire organism is everywhere equally bad, it may be a life-saving act to relieve the particular organ that first gives way, so. that time may be gained to alter the entire crasis or the quality of the stroma. Death itself is often at the start in a particular organ, i. e., local, and if the part be saved in, time life may be preserved.In the acute processes the value of a particular organ strikes one often very forcibly, there may be no need of any constitutional treatment ; the one suffering part may be the whole case. And in many chronic cases certain organs claim, and must have, special attention. The words above are from one of the most famous British homoeopaths James Compton Burnett. They are the words of a truly gifted physician with a remarkable career and reputation for curing impossible cases. I undertook to study his writings, many I might add as he was a prodigious pensmith, and over several years I learned a lot from his cases and viewpoint.. A lot of people have concluded that Compton Burnett was an organ therapist. 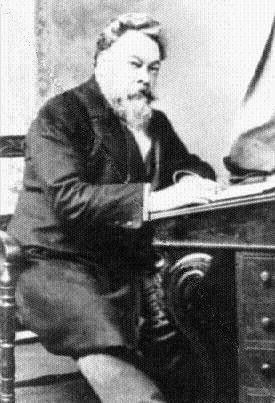 Yet in examining his works and cases, I find it hard to fault his logic especially since it came to my attention time and time again in his casework that he prescribed for the patients expression of disease but focusing on the reality that the site or location was a weak or damaged organ causing the problem. Compton Burnett puts a compelling argument forward that Hahnemann himself said where possible to look for the causation, and keep that in mind as part of the case taking. He would therefore prescribe for the actual seat of the disease and from there continue to prescribe on the symptoms that were present. It is beyond the scope of this brief comment to explain how the prescriptions were arrived at, and to this end I would recommend that practitioners read his own explanations for cases online. What I can say is that Compton Burnett ALWAYS looked for the totality of symptoms related to the disease state in hand and as such each patient got an individual prescription for themselves and not for the disease name..
A unique and careful prescriber. How to treat with homoeopathy. After 32 years of being involved in practice, and 7 years spent in intensive study of the masters, I have concluded that homoeopathy is less art than science. Most of what is taken for granted in terms, expressions, understanding and concepts in the therapy, come from Kent and Hering and NOT from Hahnemann. Hahnemann was a scientist. A man given to accepting material evidence from experimentation and subsequent results. After reading the millions of words he has written over the years, and several times I might add, my observed conclusion is that his medical career was based on facts and not speculation and is to be trusted. There is a simple premise to using the remedies for curative purposes. They are dilute substances that create observable symptoms in an organism. These symptoms are a direct result from whatever substance caused the reaction and have NOTHING to do with infectious disease states found in sick individuals other than the SIMILARITY of produced symptoms. When matched symptom by symptom to the sick organism, the addition of the substance increases the reaction in the organism to amplify the specific symptoms upon which the natural immune response in the organism will focus on these heightened symptoms and attempt to remove them. In removing them, the natural disease, being slightly weaker will also be removed. And for this reason and rationale, it is imperative that we find the right symptom or symptoms within the whole picture of the disease. Aph 6 points out how to find the picture of the disease but aph 153 tells us what we have to extract from this picture to prescribe on. I have found that when faced with a patient suffering a known disorder, knowledge exists of the disease progress, organs involved, the patterns of the progress of the disease and the prognosis. Given these parameters, a patient suffering from the infection both acute and chronic, will only exhibit CERTAIN characteristics of the disease as the body tries to modify the illness for self protection. It is the total expression of these characteristics that will identify the individuality of the diseased individual and lead to selection of the right remedy or remedies. It is NOT the totality of ALL the symptoms that we look for. For example, if a patient has a disorder that starts on the left and move across to the right, has perspiration only at night on the back of the head and has a fever after midnight that starts with a chill and then turns into heat, then we have individual characteristics of a personal disease state from the infection . If this repeats daily then this is the core of the state from which all other lesser important symptoms spring, like sleeplessness and mild headaches. It is always best to focus on the primary expression of the disease, the modifiers of the state and symptoms that are present that have no obvious affinity or reason to be present. 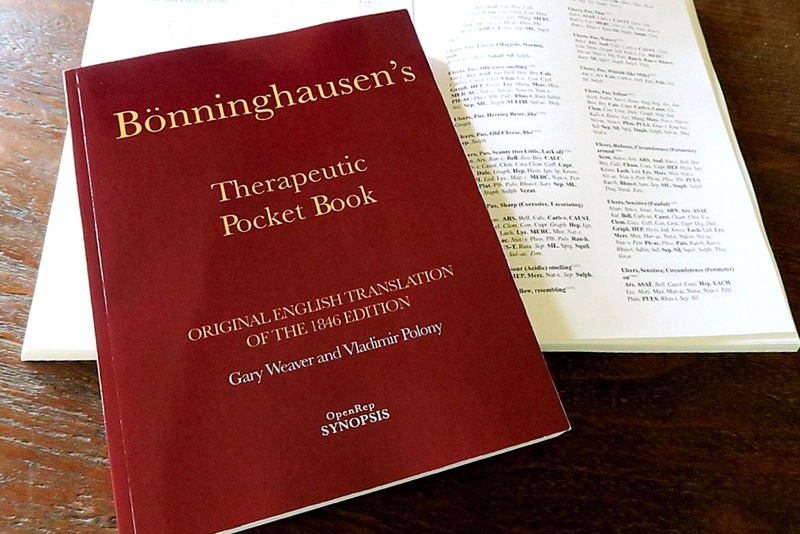 We at the IHM have found that in using the therapeutic pocket book, and focusing ONLY on the few important symptoms, that we use less than 5 rubric indicators and come to 3 or less remedies for consideration. A quick read of the remedies will determine which remedy to give or start with. Do NOT use a mental symptom unless it is morbid and a CLEAR and obvious CHANGE in the state of the patient. Focus only on CHANGED conditions and symptoms that are part of the CHANGED pathology. You will do good work by following Hahnemann. February 2017 Gold standard training course. English and Spanish. We are running two training courses in February. SPANISH ONLY: Thursday Feb 9th to Monday Feb 13 inclusive. ENGLISH ONLY: Thursday Feb 16th-Monday Feb 20th inclusive. We will be conducting the training course at out North Seville Clinic in Sevilla Spain as normal. Flights are inexpensive this time of the year and we can recommend Hotels. Public transport makes getting around very easy. These two courses are for practitioners who have at least 3 years experience. The course material is intensive and will comprehensively cover all relevant and necessary Hahnemannian instructions from the Organon and Chronic diseases in relation to understanding how to extract the information required for accurate case taking, analysis and prescribing. The I.H.M. is a research and training organisation that was established in 1986 to promote the practice of homoeopathy as a medical specialty as outlined by Hahnemann. We will discuss Miasms, What is a symptom, how to extract prescribing symptoms, how to differentiate between personality and morbid symptoms, how to find the symptoms that are central to both the case and a remedy, which symptoms to ignore and which cannot be ignored. We will look at prescribing protocols, LM potencies, repetition of the medicine, when to stop and when to change. All of the above list will be linked to associated Hahnemannian texts. We will demonstrate the principles with over 25 case examples with full explanation. We will take you on a tour of a Homoeopathic pharmacy and explain in detail how remedies are made. Each student can avail themselves of the following. A full 125 medicine LM Boenninghausen remedy kit at an unbelievable price. The SYNOPSIS computer program at an unbelievable price. The book version of the SYNOPSIS repertory in English at an unbelievable price. If any practitioner, in the opinion of the I.H.M. teaching staff, meets the criteria for membership of the I.H.M. Register during the course, they will be awarded the membership Diploma at the end of the 5 days teaching. We do not exceed 5 persons for each course. Here in Spain, It would appear that members of the administration committee including the president of the medical associations, do not like homoeopathy. They have passed an edict banning medically qualified homoeopaths from using the facilities in every town and city belonging to their members. NO more meetings, no more seminars…. no more anything to do with homoeopathy. This single act of arrogance affects not only the doctors, but also the general public. In this regard, they are acting a lot like our American cousins in government, who know something is illegal but do it anyway. The wait until someone challenges them, waste a lot of money and then rescind the order down the line. However in this case, the leadership IS accountable and not under governmental protection and in my singular view, should be removed from their positions because they have acted purposefully and selfishly in accord with their own prejudices. I hope the legal challenge that is coming will ask for reproof including dismissal from office. and laughed my way through the rebuttals given by Mark Crislip on October 24, 2008. I was not laughing at him but with him. From a modern medical point of view, the questions raised have not been answered properly by homoeopaths. Firstly, our profession is in the midst of a great confusion. We have the majority of practitioners who have not learned the application of homoeopathy properly or understand clearly that it is a medical application of therapeutics to stimulate the immune response by giving a substance that will produce an artifically induced increase in certain symptoms from an external substance, and thus produce a more focused response from the organism to deal with the problem. It has nothing to do with personality or disposition and everything to do with physiological expressions of the disease as expressed through the symptoms. It is a misnomer to say we treat the patient not the disease. We treat the disease. We have a profession who misunderstand what a miasm is and prescribe incorrectly based on their erroneous view. We have a profession with a large percentage of metaphysical thinkers who do not practice homoeopathy with understanding, utilising polypharmacy, the sensation method, false provings protocols, the elements and periodic table for remedy association etc etc. We have a profession that teaches the religious view of Swedenborg through Kent as opposed to Hahnemanns many years of experimentations and conclusions. We have a profession that is on the verge of extinction. Ostentiably from external pressures, yet I cant help feeling that the profession brought it upon itself. Its not like its hard to understand the practice methodology… just reading the Organon and Chronic disease AS IS, without the Kentian spiritual overlay will do that for you. Letting go of any thoughts of it being a natural healing will do that for you….. grasping the reality that it is a MEDICAL practice of therapeutic application and not assigning personalities to medicines, and just seeing them as a symptom producing substance will aid in your understanding . I give Pulsatilla to more men than women in colds and fever and urinary issue symptoms… that blows the blue eyed blonde girl tag right out the window…. We dont have a well regulated system of training in homoeopathy. So many variations on practice that the student is not catered to from the original sources. 90% of the ‘names’ in modern homoeopathy practice a variation or a deviation of the methodology that it is not funny anymore. How is a student to know what is real or not? How would a student know which college to go to for training? Everyone claims to be Hahnemann based, everyone claims to teach the right way. We at the IHM practice homoeopathy as a medical therapy based on the entire protocols as defined by Hahnemann. We do not make excuses for that.Without him there is no comprehension of the principles in action. Without him there is no approach to health care unless the steps he advocates are followed carefully. Without adherence to HIS protocols, there is no answer to the issues when a case gets complicated or goes wrong. In the intensive 5 day teaching course, we relate EVERYTHING to sourced material with many examples, and always defer to Hahnemannian principles both in practice and health care. We show the PROTOCOLS for practice methodology and where to find the information pertaining to them from Hahnemann. We discuss openly and compare his observations with HIS cases and others as examples in matching the ESSENTIAL symptoms of disease presented in every patient… We dissect line by line his thoughts on miasms, what they are and how to use the knowledge of them to move a case forward…. we look at each step of the process in case management as outlined by him and show HOW and WHY he treats in the manner advocated. We will show his methodology of giving the LM potencies and the clinically observed benefits of using them in practice. 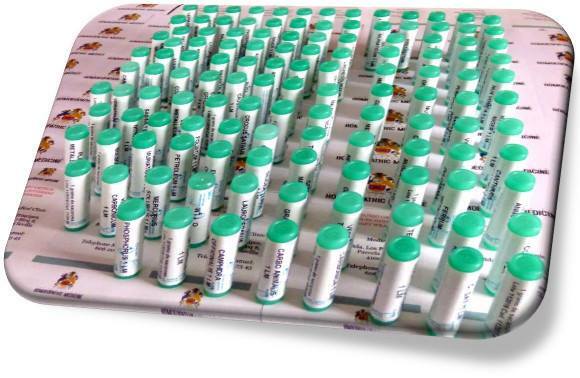 We even offer a Boenninghausen LM 0/1 remedy kit to the course participants at an amazing price. We will be starting the new year with two new training courses in Seville Spain. One in Spanish and one in English. Details will follow. I think Dana Ullman summarised the situation well here in 2014. Unfortunately the issue continues and even has got worse. In April, 2014, I had the happenstance to run into Jimmy Wales, the co-founder of Wikipedia, on the streets of Vancouver. I was there to lecture to a group of medical professionals, while he was attending the TED talks. I expressed my appreciation to him for creating Wikipedia. I also then expressed concern to him about the “unencyclopedic” tone and information in Wikipedia’s article on homeopathy. He then encouraged me to express my concerns in writing, and this is that response. Because I know that you want Wikipedia to be the best modern resource of reliable information, my intent in writing is to show you where Wikipedia is falling below your high standards, and in fact, Wikipedia’s article on homeopathy is providing strongly biased, inaccurate information. This strong bias is a symptom of a deeper problem at Wikipedia in select articles on topics that challenge dominant medical and scientific worldviews. After reading the below body of scientific evidence on the subject of homeopathic medicine, I hope that we can engage in a dialogue that will help reduce the amount of misinformation that pervades certain subjects, such as homeopathy. 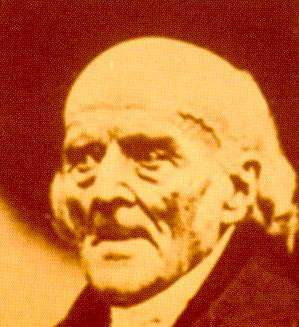 Hahnemann, Samuel (1833). The Homœopathic Medical Doctrine, or “Organon of the Healing Art”. Dublin: W.F. Wakeman. pp. iii , 48-49 . “Observation, reflection, and experience have unfolded to me that the best and true method of cure is founded on the principle, similia similibus curentur. To cure in a mild, prompt, safe, and durable manner, it is necessary to choose in each case a medicine that will excite an affection similar (ὅμοιος πάθος) to that against which it is employed.” Translator: Charles H. Devrient, Esq. ^ Tuomela R (1987). 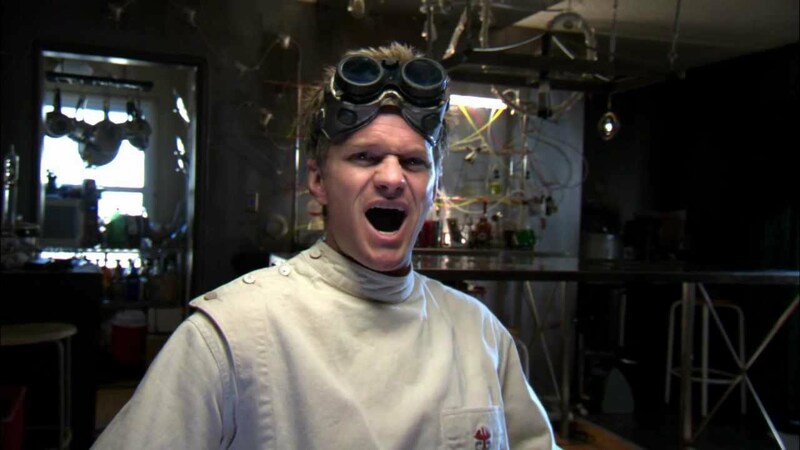 “Chapter 4: Science, Protoscience, and Pseudoscience”. In Pitt JC, Marcello P. Rational Changes in Science: Essays on Scientific Reasoning. Boston Studies in the Philosophy of Science 98 (Springer). pp. 83-101. doi:10.1007/978-94-009-3779-6_4 . ISBN 978-94-010-8181-8. ^ Smith K (2012). “Homeopathy is Unscientific and Unethical”. Bioethics 26 (9): 508-512. doi:10.1111/j.1467-8519.2011.01956.x . ^ Shang A, Huwiler-Müntener K, Nartey L, et al. (2005). “Are the clinical effects of homoeopathy placebo effects? Comparative study of placebo-controlled trials of homoeopathy and allopathy”. Lancet 366 (9487): 726-32. doi:10.1016/S0140-6736(05)67177-2 . PMID 16125589 . Is Homeopathy Really a “Pseudoscience”? Hayfever: Reilly D, Taylor M, McSharry C, et al., Is homoeopathy a placebo response? controlled trial of homoeopathic potency, with pollen in hayfever as model,” Lancet, October 18, 1986, ii: 881-6. Asthma: Reilly, D, Taylor, M, Beattie, N, et al., “Is Evidence for Homoeopathy Reproducible?” Lancet, December 10, 1994, 344:1601-6. Fibromyalgia: Fisher P, Greenwood A, Huskisson EC, et al., “Effect of Homoeopathic Treatment on Fibrositis (Primary Fibromyalgia),” BMJ, 299(August 5, 1989):365-6. Jimmy, can you name ONE other system of “pseudoscience” that has a similar body of randomized, double-blind, and placebo-controlled clinical trials published in high-impact medical journals showing efficacy of treatment? It is more than a tad ironic that this first paragraph in the Wikipedia article on homeopathy references only one article that was published in a peer-review medical journal. This one article by Shang, et al. has been thoroughly discredited in an article written by Lüdtke and Rutten that was published in a leading “high impact” journal that specializes in evaluating clinical research. The Shang meta-analysis is highlighted on Wikipedia without reference to any critique of it. The fact that there is no hint of any problems in the Shang review, let alone a reference to the Lüdtke and Rutten article that provided evidence of bias, is itself a cause for concern. The Shang article is also the primary reference used by the widely ridiculed “Evidence Check” reports issued by the Science and Technology Committee of the British House of Commons, which also conveniently omits reference to the severe limitations of this one review of research. Further, the “Evidence Check” was signed off by just three of the 15 members of the original committee, never discussed or endorsed by the whole UK Parliament, and had its recommendations ignored by the UK Department of Health. Skeptics typically assert that the above high-quality studies published in high-impact medical journals are simply “cherry-picking” the positive studies, and then, they begin cherry-picking studies that had negative results. However, skeptics of homeopathy fail to differentiate good, sound scientific investigations that are respectful of the homeopathic method and those that are not. Just because a study was conducted with a randomized double-blind and placebo controlled method does NOT mean that the study gave the appropriate homeopathic medicine for each patient or even each group of patients. This ignorance is akin to someone saying that antibiotics are ineffective for “infections” without differentiating between bacterial infections, viral infections, and fungal infections. Ironically, skeptics of homeopathy consistently show a very sloppy attitude about scientific investigations. Skeptics commonly assert that various meta-analyses verify that homeopathy doesn’t work and that homeopathic medicines are equivalent to the effects of a placebo. These skeptics typically chose to ignore various meta-analyses that were published in highly respected medical journals and that show positive benefits from homeopathic medicines. Skeptics also ignore the largest and most comprehensive review of research ever conducted…one that was funded by the government of Switzerland. It is useful to know that the Shang/Egger meta-analysis was funded by the same Swiss government’s Complementary Medicine Evaluation Program that also funded a much more detailed and comprehensive review of clinical research, preclinical research (fundamental physio-chemical research, botanical studies, animal studies, and in vitro studies with human cells), epidemiological evidence, and cost-effectiveness studies. 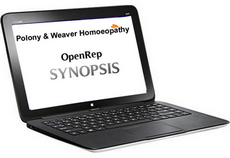 This more comprehensive Swiss government-funded report found a particularly strong body of evidence to support the homeopathic treatment of Upper Respiratory Tract Infections and Respiratory Allergies. The report cited 29 studies in “Upper Respiratory Tract Infections/AllergicReactions,” with 24 studies having a positive result in favor of homeopathy. Six out of seven controlled studies that compared homeopathic treatment with conventional medical treatment showed homeopathy to be more effective than conventional medical interventions. When the researchers evaluated only the randomized placebo controlled trials, 12 out of 16 studies showed a positive result in favor of homeopathy. Ironically, the Shang/Egger meta-analysis acknowledged that there have been at least eight clinical trials of patients with acute infections of the upper respiratory tract and that there is “robust evidence that the treatment under investigation works.” And yet, Shang/Egger assert that this limited number of trials is inadequate for evaluating homeopathy, while at the same time they assert that eight other trials provided unquestionable evidence for damning homeopathy (it should be noted that Shang/Egger somehow determined that some of the studies on respiratory infection and allergy were not “high quality,” even though numerous other meta-analyses have unanimously defined three trials by David Reilly as high quality (two were published in the British Medical Journal and one was published in the Lancet). Linde L, Clausius N, Ramirez G, Jonas W, “Are the Clinical Effects of Homoeopathy Placebo Effects? A Meta-analysis of Placebo-Controlled Trials,” Lancet, September 20, 1997, 350:834-843. Although a later review by some of these authors found a reduced significance, the authors never asserted that the significance was no longer present. Further, two of the lead authors of this article provided a very sharp critique of the Shang, et al. review of research (2005). Also, both Linde and Jonas wrote to the Lancet after the Shang/Egger article was published and asserted that the Lancet should be “embarrassed” by their publication of this article and the accompanied editorial (Lancet, 366 December 17, 2005:2081-2). Taylor, MA, Reilly, D, Llewellyn-Jones, RH, et al., Randomised controlled trial of homoeopathy versus placebo in perennial allergic rhinitis with overview of four trial Series, BMJ, August 19, 2000, 321:471-476. The BMJ published an editorial in the issue in which this study was published asserting, “It may be time to confront the conclusion that homeopathy and placebo differ…… This may be more plausible than the conclusion that their trials have produced serial false positive results” (This week in the BMJ. Homoeopathic dilutions may be better than placebo. BMJ 2000;321:0). Ironically, the article makes reference to articles written by known antagonists to homeopathy (such as E. Ernst and K. Atwood) that have not even been published in peer-review scientific or medical journals. Reference #10 by Ernst was published in “The Skeptical Inquirer,” a magazine that is not listed in Index Medicus or any other respected scientific indexing service, and reference #11 by Atwood wasn’t even published in a magazine but at a website. If and when any person tried to edit the article on homeopathy in any way in which homeopathy is presented in a positive light and makes reference to a “magazine” or a “website,” that person would be laughed off of Wikipedia, and yet, the editors of the homeopathy article allow and even encourage the use of inappropriate skeptical references (according to Wikipedia’s usual standards). Avogadro’s number predicts that none of the original medicinal agents would have ANY persisting molecules of the original medicinal substance would remain after 12 dilutions of 1:100. However, the scientists describe reasonable and even predictable factors that lead to the persistence of nanoparticles after their multiple dilutions. The scientists note that the use of double-distilled water in glass vials leads to varying amounts of silica fragments that fall into the water, as much as 6ppm. The vigorous shaking of the glass vial creates bubbles and “nanobubbles” that bring oxygen into the water and that increase substantially the water pressure (William Tiller, PhD, the former head of Stanford’s Department of Material Science, estimated this pressure to be 10,000 atmospheres). When skeptics of homeopathy reference Avogadro’s number as “evidence” that homeopathic medicines beyond 24X or 12C have “no remaining molecules left,” they are simply verifying their own ignorance of Avogadro’s number because this widely recognized principle in chemistry does NOT account for the complexities of the silica fragments, the bubbles or nanobubbles, nor the increased water pressure. In fact, any serious scientist or educated individual who asserts that a homeopathic medicine is “beyond Avogadro’s number” has no ground on which they stand. And yet, Avogadro’s number is prominently a part of Wikipedia’s article on homeopathy. Despite the obfuscation throughout Wikipedia’s article on homeopathy, in actual fact, the homeopathic pharmaceutical procedure called “potentization” is a clever, perhaps brilliant, method of creating nanoparticles of whatever substance is originally placed in the glass vial. Even more compelling is the significant and growing body of evidence that nanodoses of medicinal agents have several benefits over crude doses of the same substance, including enhanced bioavailability, adsorptive capacity, intracellular accessibility, increased ability to cross cell membranes and even the blood brain barrier, and of course, a substantial better safety profile. The creation of nanodoses actually increases various characteristics of a substance’s properties. Once a substance has an extremely small size but has larger surface area to volume ratio, the nanodose properties create increased chemical and biological reactivity, electromagnetic, optical, thermal, and quantum effects. Further, the idiosyncratic properties of nanomedicines reduce the required doses by orders of magnitude and predictably reduce toxicity. In light of the above, it is stunning and shocking that Wikipedia’s article on “Nanomedicine” has no mention of homeopathy, which rightly is deemed to be the original nanomedicine and nanopharmacology. At a time in the history of medicine and science in which the field of nanomedicine is becoming increasingly accepted and respected, Wikipedia seems stuck in the 20th century, or perhaps the 18th century. It is not surprising that there is an international and inter-disciplinary journal that focuses on the power of extremely small doses in various biological systems, not just medicine. Given the above, it is no longer accurate to consider homeopathic doses to be “implausible.” Wikipedia’s article on homeopathy asserts otherwise, deeming homeopathy to be “biologically implausible” (cited by a non-peer review magazine, called “The Skeptical Inquirer,” that is not listed in any scientific indexing service), “a sham” (cited at a website! ), and running “counter to the laws of chemistry and physics” (what is interesting here is that the article cites an article in the journal, “Homeopathy,” and yet, whenever a positive statement or clinical trial or basic sciences trial is published in this same journal, the Wikipedia editors claim that this journal is not worthy of a citation). What is shocking about Wikipedia’s article of homeopathy is that there is NO reference to this Nobel Prize winner or to his interview in one of the most respected scientific journals in the world today or any reference to French government’s documentary on this very subject. Obviously, the people who are editing the homeopathy article have a profound bias. Numerous people have sought to improve Wikipedia’s article on homeopathy, but they have been blocked or prohibited from editing the article. In my case, I was blocked from editing any article to do with homeopathy because I was deemed to have a “conflict of interest” due to the fact that I am a homeopath. Ironically, no medical doctor is prohibited from editing on any medical subject just because she or he is a medical doctor! Further, the bias against homeopathy and against any positive evidence for homeopathy is so strong that the vast majority of the articles from the high impact medical and scientific journals are not referenced or described in the Wikipedia article on homeopathy, while there are numerous low-level references to websites and to non-peer review magazines that populate Wikipedia’s article. I could easily show over a hundred other sentences in Wikipedia’s article that are either errors of fact or that are evidence of bias or spin against homeopathy, but I think that I have adequately and accurately provided you with solid testimony proving serious problems with Wikipedia’s article on homeopathy. Brian Josephson, Ph.D., won a Nobel Prize in 1973 when he was only 23 years old and is presently professor emeritus at Cambridge University. Josephson contends that many scientists today suffer from “pathological disbelief” — that is, an unscientific attitude that is typified by the statement “even if it were true I wouldn’t believe it” (Josephson, 1997). Ultimately, at Wikipedia there is a certain substantial body of editors who embody “pathological skepticism” and who do not allow good evidence from high-quality studies and meta-analyses published in high-impact journals to be included into the body of evidence for homeopathy just because they provide a positive spin to the subject. On the other hand, these same editors allow references to non-peer review sources, such as popular magazine and websites, when the information in these questionably valid sources is offensive to homeopathy. Today, Wikipedia’s article on homeopathy is a classic example of a biased, off-balance, and non-encyclopedic review of the subject. Ultimately, there are indeed subjects at Wikipedia that will probably remain highly controversial no matter what is or isn’t said, and it makes sense to inform readers about this issue. However, at present, the article on homeopathy strongly suggests that there is no or inconsequential evidence that homeopathic medicines have biological activity and/or clinical efficacy, and this letter clearly dispels that myth. Objective reviews of both basic science research and clinical studies suggest that there are simply too many high quality laboratory and clinical trials that show positive results. One solution to dealing with Wikipedia’s article is to have two separate sections in the article that present the “skeptics’ point of view” and the “homeopaths’ point of view.” Although one could have hoped that the article would have evolved into this multi-view perspective, there are simply too many anti-homeopathy fundamentalists who have squatted on this article and have made it literally impossible to have any positive or even any slightly positive assertions about homeopathy. Because this letter proves that Skeptics are incapable of presenting information on homeopathy with even a modicum of objectivity, perhaps the best solution is to enable both viewpoints to be able to express themselves. Some people claim that debate is the best way to understand complex subjects, and therefore, allowing and even encouraging a multi-perspective viewpoint in articles at Wikipedia may be an important and worthwhile change in your website’s policies. You have now been given strong evidence that Wikipedia is NOT maintaining a “neutral point-of-view” on the subject of homeopathy. My question is to you now is: What do you suggest should be done to rectify this problem? Zoe Mullan, senior editor at The Lancet, acknowledged in the publication’s press release for this article, “Professor Egger stated at the onset that he expected to find that homeopathy had no effect other than that of placebo. His ‘conflict’ was therefore transparent. We saw this as sufficient” EHM News Bureau, 2005). The editors chose not to inform readers of this bias. When I first came to give Seminars in Spain after returning from the USA in 2013, I recall telling homoeopaths that the non homoeopathic Sensation method would infiltrate the homoeopathic colleges and cause issues. I was laughed at. I also begged the Spanish homoeopaths to not have the remedies classed as medicines. Now, onerous regulations have been placed on the production of medicines, and remedies can only be dispensed from a pharmacy. I was informed today, that all medical colleges in Spain have removed association with medical practitioners who practice homoeopathy and will not allow us to use their facilities for meetings or conferences any more. Further, degree courses for homoeopathy have been removed from the Universities. To date, according to my sources, only one medical doctor has applied to study homoeopathy in the Barcelona College system in 2016. So now we have a Spanish homoeopathic system dominated by the Sensation method, hampered by excessive regulations and no future to speak of. 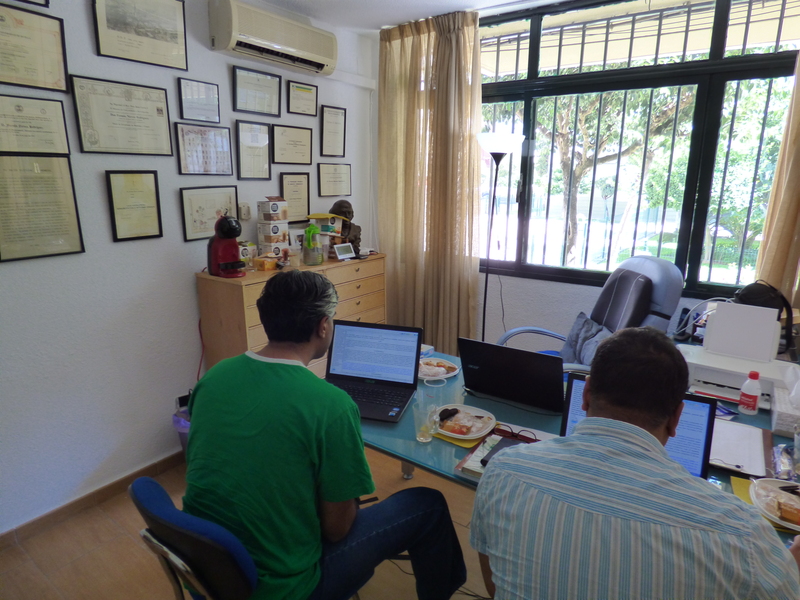 Among all these problems, the Spanish homoeopaths themselves seek to take what little power they can and are demanding that homoeopathy should only be practiced by medically qualified people. Do not the facts show that in 10 years there will be only a handful of drs practicing homoeopathy? We have to face the facts. Homeoeopathy is indeed under attack from the big pharmacies and the medical associations. It has reached a point where patients in the west do not know what to believe anymore and are being forced into the singular mainstream drug therapies by peer pressure and the low costs of the insurance system for them. As they are not offered alternative treatments within the system, the extra financial burden of treatment by a homoeopath can be too much for an already stretched pocket. We as a therapy need to deal with the internal problems of homoeopathy that exist. #1. Firstly, since Kent the majority of Western homoeopaths have ceased to study Homoeopathy as defined by Hahnemann, and have viewed everything through a metaphysical filter. #2. Homoeopathy is a medical speciality and as such needs to utilised along very specific lines for the benefit of the patient. #3. Without the understanding of the Organon and Chronic Diseases, it is impossible to practice well and consistently. #4. Modern methods of practice have moved homoeopathy into the realms of fantasy, metaphysical thinking and quasi psychological analysis. When I read the comments from skeptics about our therapy, it is difficult for me to defend the position due to the problems of practice within our community. Starting with polypharmacy, essence prescribing, kineseology, prescribing on personality, radionics, dream provings, homoeopathic pharmacies making remedies for named diseases, etc etc. In a recent discussion I had with 24 student homoeopaths, not one could define clearly how the principle of practice was to be applied, and only 3 had leafed through the Organon at some stage. A colleague was talking to a student who had told him that she was giving up studying the therapy. She was being taught the sensation method at her school. She stated that homoeopathy was too difficult and she could not grasp it. When informed that perhaps the method she was being taught might be at fault, she stated emphatically, “NO! I see that it can only be taught by gifted people, observers of the inner mans spirit, I cant do that”. Sadly for her, she never got to see that the practice is a one of medicine and applying proven substances that fit the disease expression to aid the immune system to recover its equilibrium and restore the organism to health. She never got to see that personality, preferences and thought patterns are not to be treated. 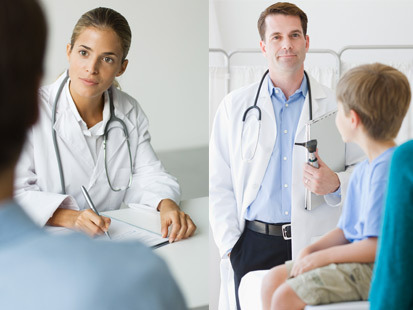 Homoeopathy ONLY treats morbid alterations in the health of a person be it mental or physical. I object to having my career taken away from me by my ill trained colleagues who think they know know what homoeopathy is and practice without knowledge or adherence to the therapy’s guidelines. I object that students are not taught correctly, I object that we do not have medically minded people among us and that the vast majority of practitioners mix dissonant protocols and other therapies within the practice. Mostly I object that we in the West have no defence against the commentary against us, and its our fault. Our so called spokesmen for the therapy in the public eye have sold out to the false teachings within the therapy and dont know that they dont know. The Institute for Homoeopathic medicine here in Spain, teach directly from the Organon and the writings and knowledge of Hahnemann and his colleagues. We can outline the history and development of the therapy in detail, and have a teaching platform that can impart all that needs to known of the principles of practice of homoeopathy within a 12 month period. The students we have had the pleasure of teaching are all of a high calibre of practitioner and have gone on to be good practitioners in their respective countries. It requires a lot of self study on the part of the student to develop the skill set to be a good homoeopath. That determination plus effort is what the therapy requires on the part of practitioners. To be known as a good practitioner is the reward. With consistent results in the clinic. To be able to make a good prescription via information given via email, via SKYPE or in a physical presence of the patient based solely on careful analysis of the patients symptoms solely, is a good thing. I was contacted by a patient regarding his son whom was having issues of skin, respiratory and other complaints. 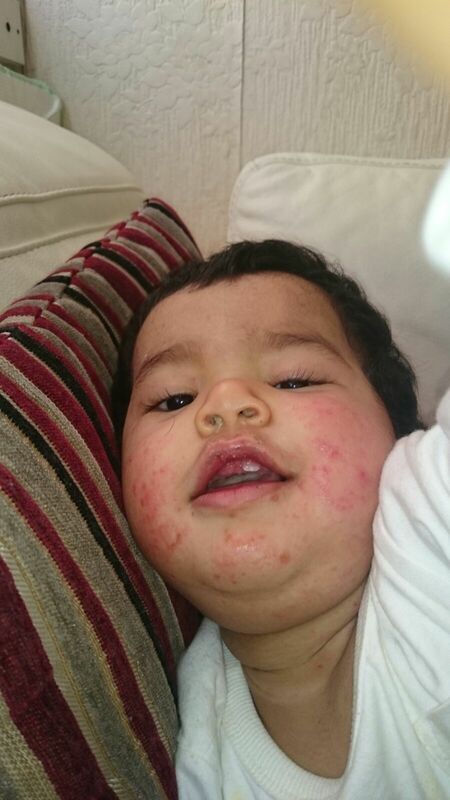 After several weeks with some allopathic treatment and creams, the child was no better. I received the information via a text message. A quick analysis of the case was made, and a prescription made. Some improvement was noted, and then a new symptom picture was reported. Based on this information, a remedy was prescribed and in two days the problem was resolved. All I had were the photos and a description of the expression of the disease. Skin eruptions, facial swelling, scalp itching, cough, sleeplessness, loose stools etc. 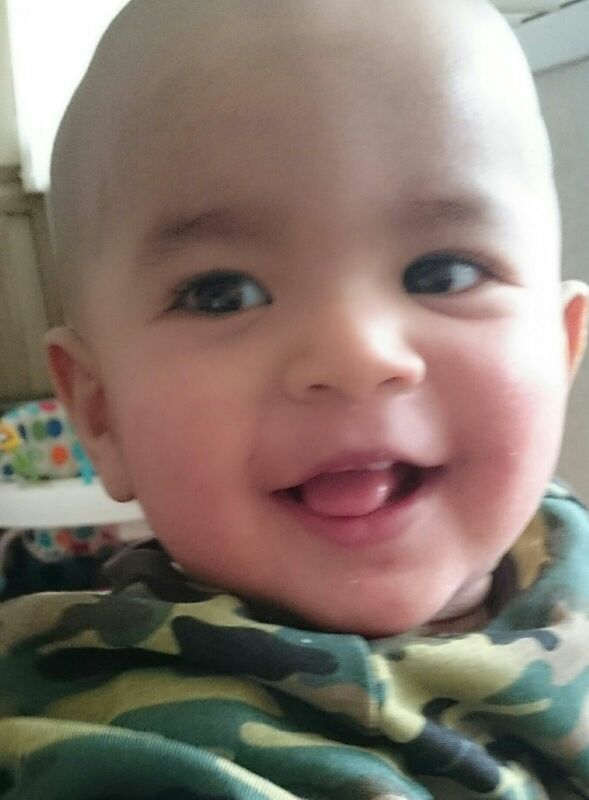 I received this photo two days later. A complete cure and the resolution of other issues not mentioned. This is what my colleagues do consistently and repeatedly in line with Hahnemanns directions. By adhering to the instructions laid down for the practice of the therapy, we remove all the supposition and guesswork from the equation. We have a framework to define our actions and thinking that was formulated over many years by Hahnemann. We know that when we fail we have a methodology to work with to get back on track. So for the practitioners in Spain, for the medical homoeopaths, the allopaths have shown their antipathy towards the practice. They have excluded their colleagues from using any of the facilities. Perhaps its time for the homoeopaths to accept the true colours of allopathy and remove themselves from membership of an organisation that is out to destroy them. 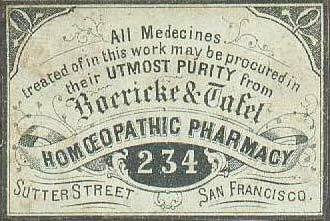 The sad thing is that this is a re run of the 1900s when the medical associations did the same thing resulting in the demise of homoeopathy for many years. We need to get our act together as a therapy instead of contributing to our deserved fate.